In regards to tax evasion and aggressive tax avoidance, the Canada Revenue Agency (CRA) should be part of the solution. At the moment, it rather seems to be part of the problem. Over the last few years, we have seen that the CRA institutionalized various practices, eroding the trust that Canadians place in it. In regards to tax evasion and aggressive tax avoidance, the Canada Revenue Agency (CRA) should be part of the solution. At the moment, it rather seems to be part of the problem. The KPMG scheme at the Isle of Man has shown that when affluent people try to evade taxes through dubious schemes, they are given a second chance. They can, through a "voluntary disclosure program" admit to their cheating after which they are asked to pay back the money they owe in taxes. No interest, no penalty. On the other hand, ordinary Canadians are assessed penalties doubling or tripling the amount due for good faith errors. We can't find the identity of those affluent Canadians or corporations who have settled with the CRA through various schemes, like KPMG. The CRA says it must protect their "privacy." But ordinary Canadians are regularly named and shamed on its website. In addition, last February, it was revealed that the Canadian Security Intelligence Service (CSIS) got illegal access to private information on some taxpayers, without a warrant. Last fall, the CRA transmitted over 150,000 banking records to the U.S. Internal Revenue Service without informing the account holders, and while a court challenge initiated by the Privacy Commissioner was ongoing. We have found out that auditors of the CRA were wined and dined by large firms. Some CRA auditors were hired by large consulting firms at a time when they were audited. And let's not forget that case involving CRA employees in the Montreal office, who worked to give a $400,000 income tax refund to a well-known mobster who actually owed $1.5 million in taxes, despite all the supposed control measures in place. In 2012, the CRA started an $8-million project of auditing Canadian charities, a measure that still goes on despite the Liberal commitment to end the project. Progressive organisations, such as environmental groups, churches and social justice organisations are disproportionately targeted. These groups have been told their charitable status would be threatened if their mandate was to "work for justice in the world" or "work for the prevention of poverty," which are interpreted as "political activities" by the CRA. It is close to impossible for parliamentarians to know what's going on at the Canada Revenue Agency. At every turn, when questions are asked, we are told we cannot get answers because (choose your pick): (1) privacy issues; (2) a case is before the courts; (3) they cannot comment on internal investigations; (4) they cannot identify CRA employees working on a specific case... This makes the CRA a shadowy agency working outside the confines of parliamentary democracy. 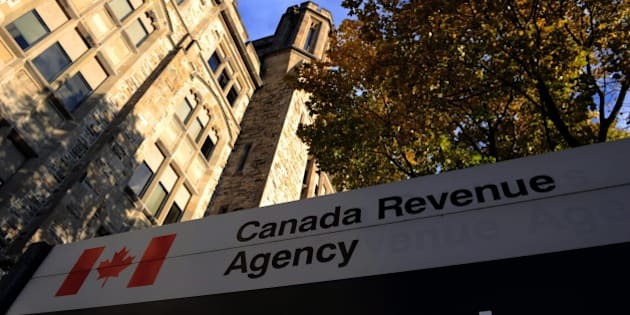 Alan Freeman, a former Assistant Deputy Minister at the Finance Department, did not mince words when describing the workings of the CRA, in a column entitled "The Canada Revenue Agency is rotten to the core. Time to clean house." "My late father -- who was about as straight an arrow as they come -- told me once how the Americans treat tax evasion. 'In the U.S., if you dodge taxes, the IRS will get you thrown in jail. In Canada, you can always make a deal with Revenue Canada. They just want the cash.'" As I wrote last week, despite the government's claim of 44 convictions for criminal tax evasion involving tax havens between 2006 and 2012, most of them had nothing to do with assets hidden in tax havens. Largely, Canada doesn't prosecute, it simply wants the cash. And speaking of cash, the Canadian government's position is that we are recouping more money than ever. According to the CRA, in 2015 to 2016, there were 10,748 voluntary disclosures involving offshore accounts, totaling $938 million in unreported income. In 2013 to 14, there were only 5,248. We can argue that the increased number of voluntary disclosure is a direct consequence of the number of high-profile leaks, and not of the efficiency of the agency. It has taken six years to investigate the 106 accounts of the 2007 Liechtenstein tax scandal, to collect a mere $8 million in taxes owed. This led Senator Percy Downe to jest that at that rate, it would take over 118 years to audit the list of accounts in the Swiss HSBC affair. It certainly doesn't explain how the Canada Revenue Agency went from being a watchdog ensuring everyone pays their fair share to enabler of a two-tier tax justice system.